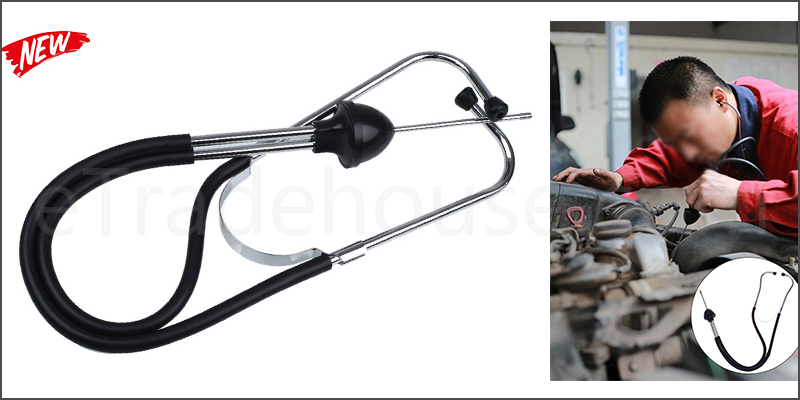 · Metal probe extends to 350mm for getting into confined areas for accessing otherwise impossible to reach areas of your engine. · Manufactured from chrome plated steel,shock proof ABS plastic handle and heavy duty vinyl tubing. · Diagnose defective parts in your engine. · Manufactured from chrome plated steel. · Heavy duty vinyl tubing. · Metal probe extends to 350mm. Car Diagnostic Engine Garage Tool.